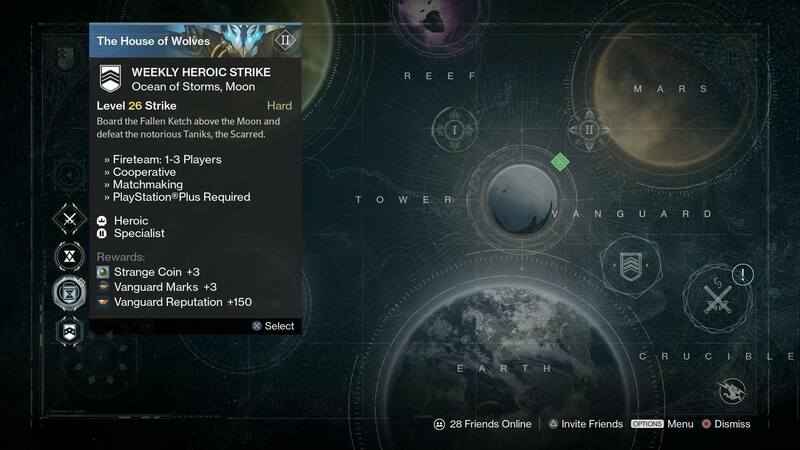 Destiny’s weekly server reset has taken place and brought with it a lot more than the two strikes. 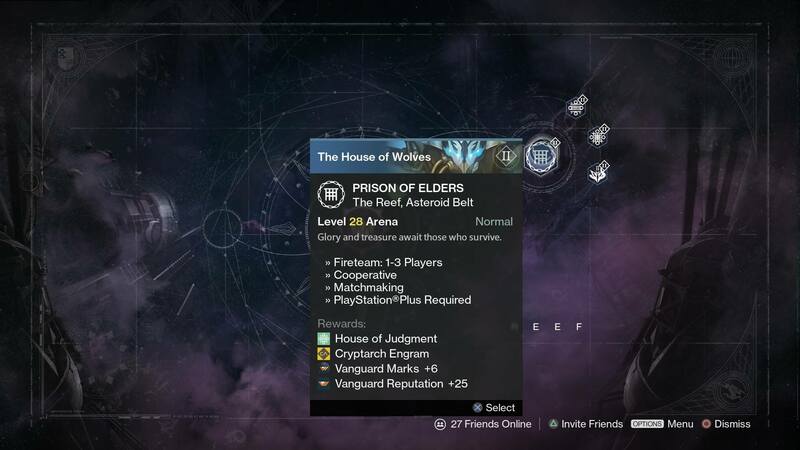 In addition to the Heroic and Nightfall strikes for the week, vendor gear has changed and the weekly marks cap has been reset. 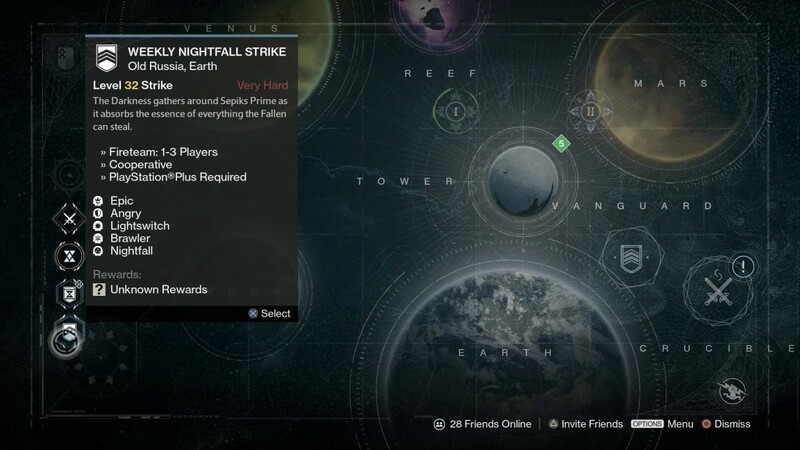 The Nightfall strike pits you against Sepiks Prime this week. You don’t get any burn, but you do get Lightswitch and Brawler modifiers. As for the Heroic, the Shadow Thief is what you’re getting, with the help of the Specialist modifier. 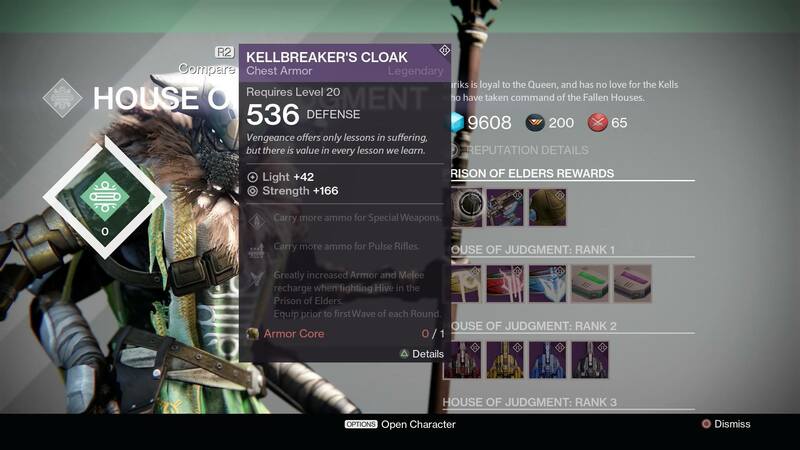 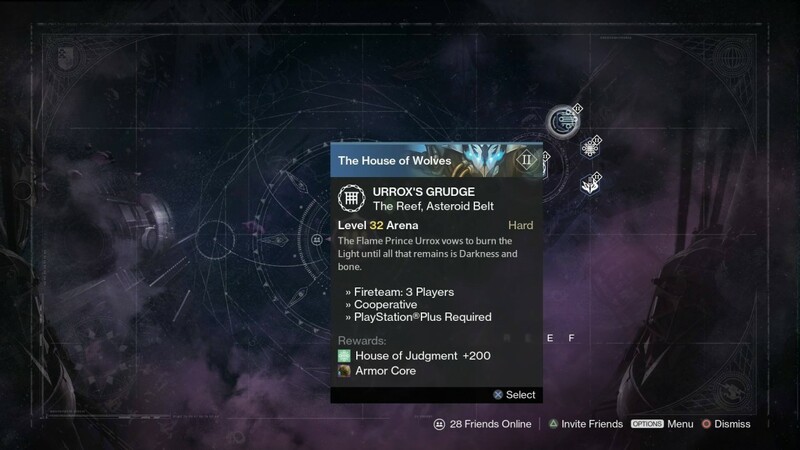 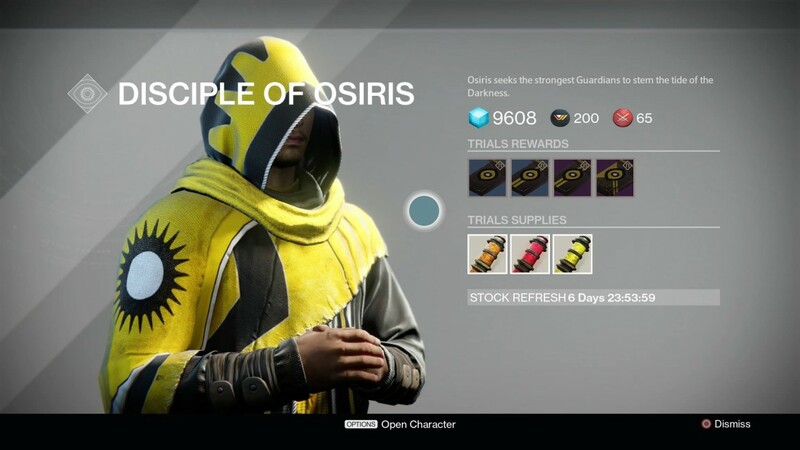 House of Wolves vendors also update their inventory. 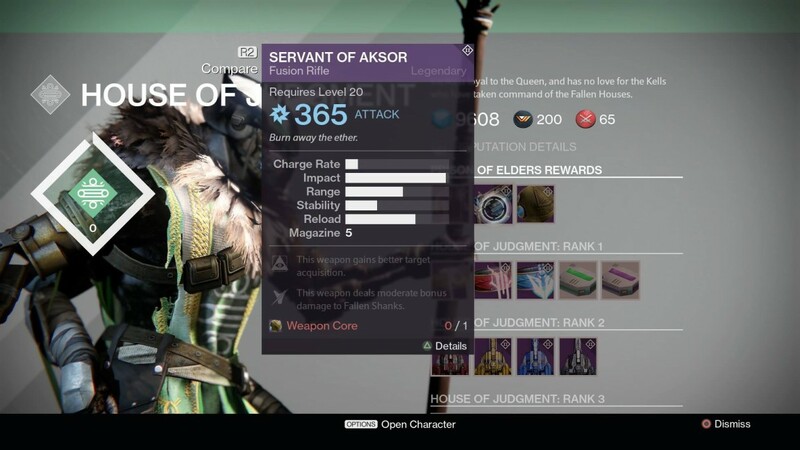 Variks now carries the Prison of Elders chest piece and the Servant of Aksor Fusion Rifle. 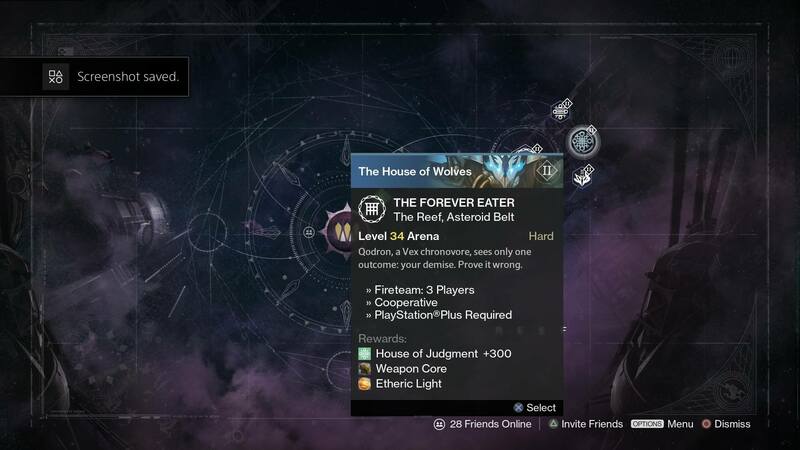 The arenas for Prison of Elders also change on level 28, 32, and 34.